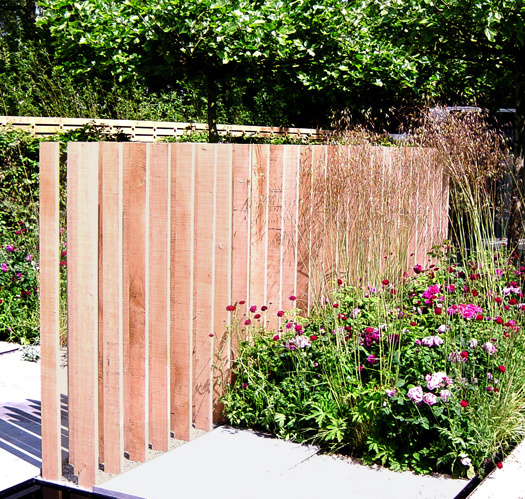 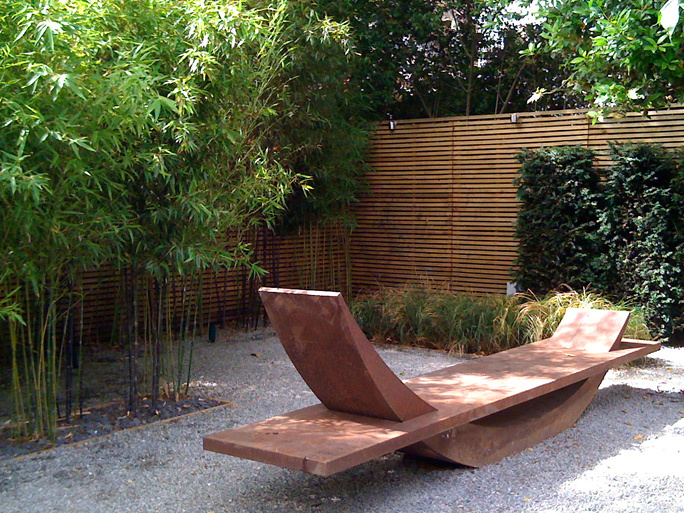 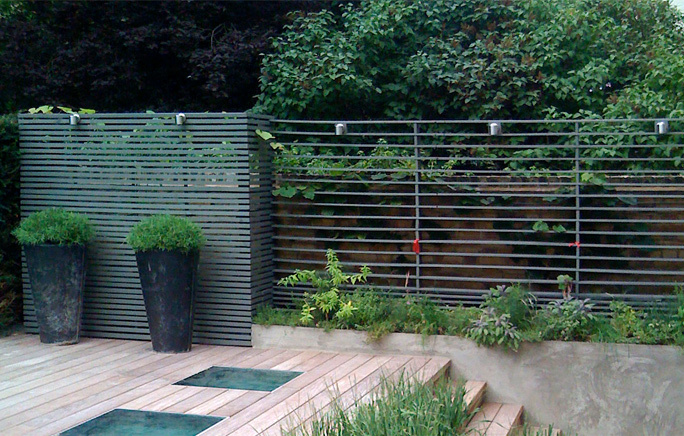 The recently introduced contemporary trellis structures by Lloyd Christie have helped to transform modern garden design. 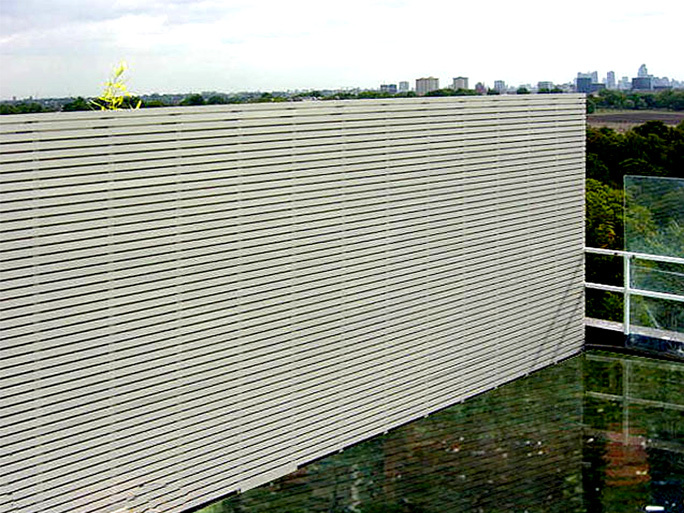 They are composed of relatively simple vertical or horizontal slats and used on boundaries or as partitions. 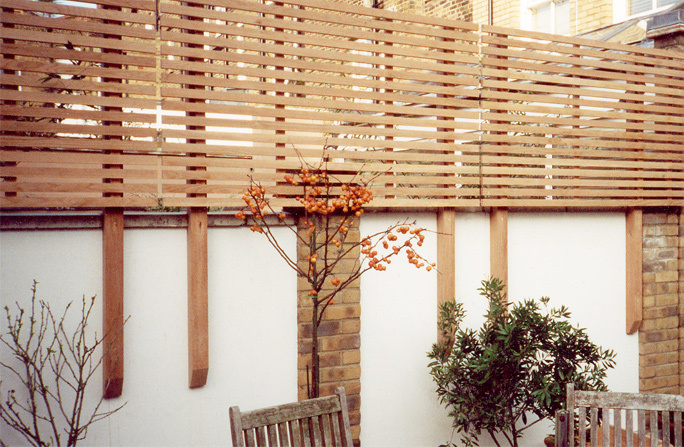 As with traditional trellises, one of the most important design decisions is to get the proportions of the timber right. 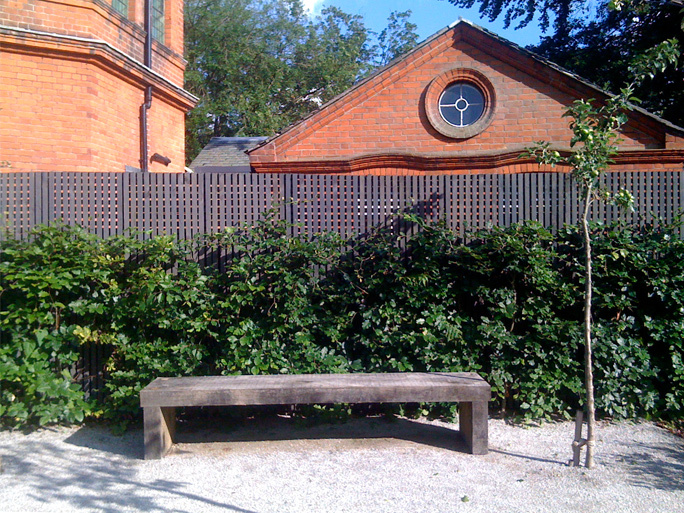 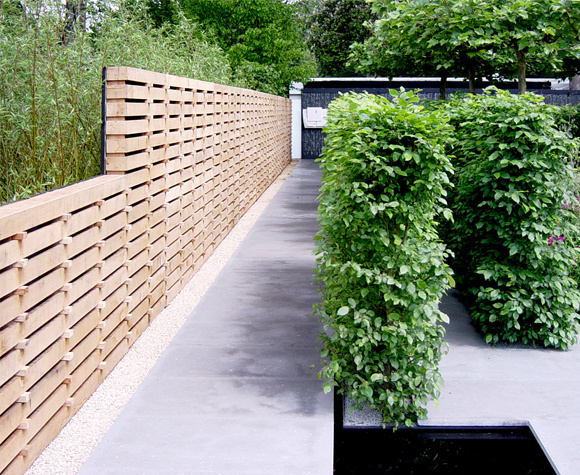 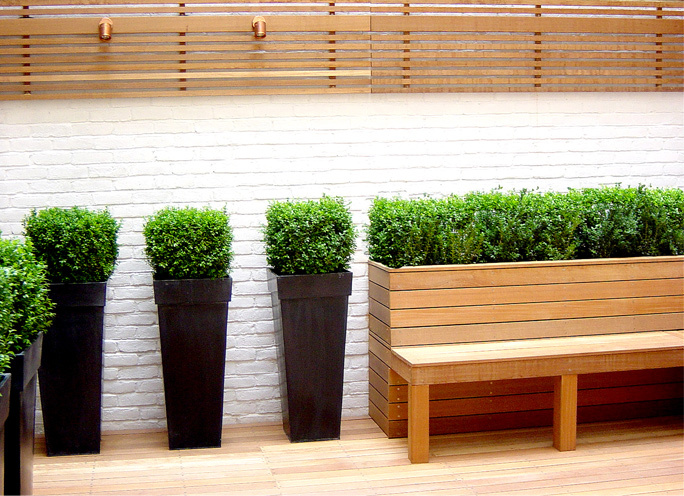 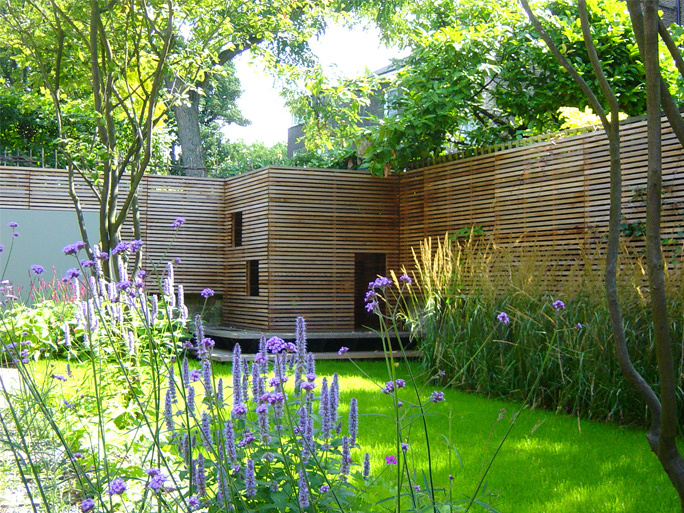 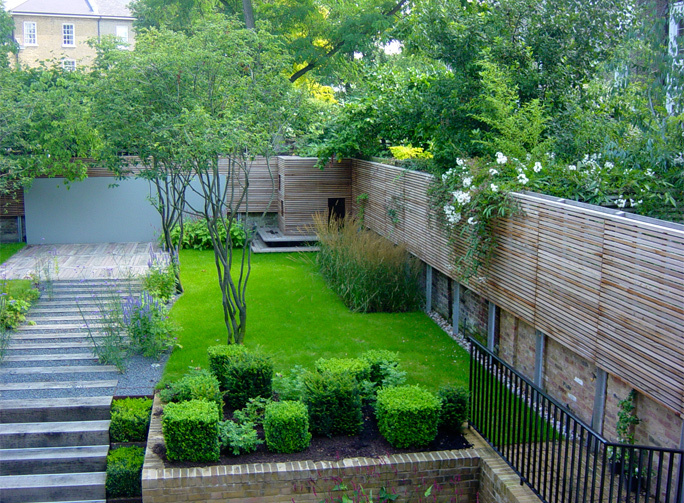 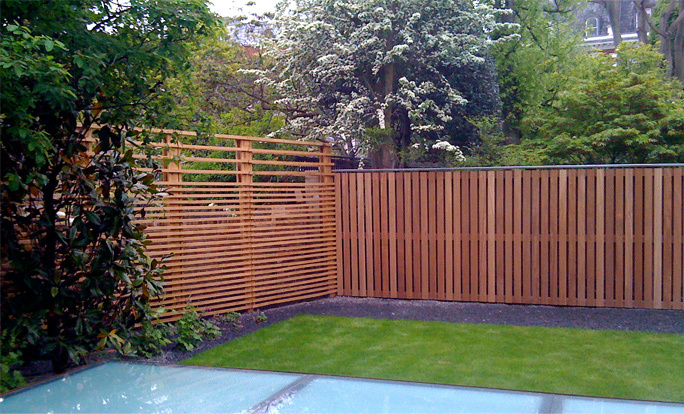 Using timber that is the wrong size or having gaps that are too wide or too narrow can ruin the look of the garden. 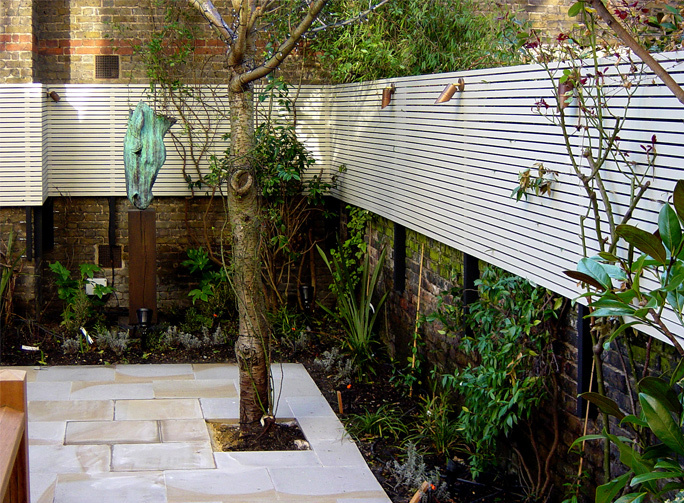 Many modern gardens are designed with strong structural lines, which are reflected in the style of planting and its relationship to the boundaries. 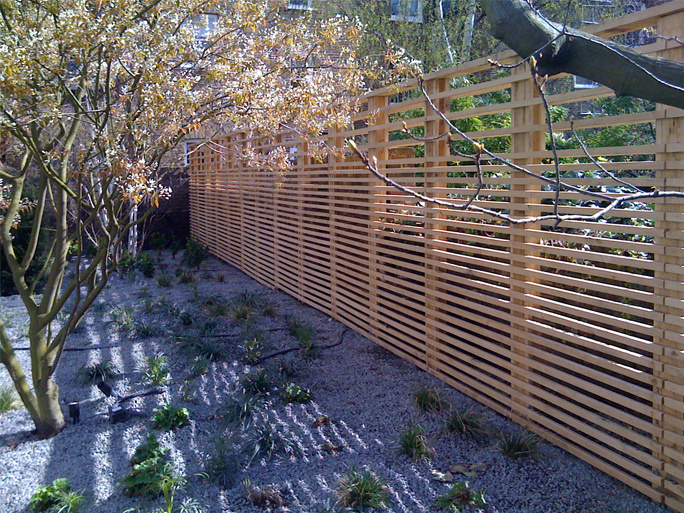 The direction of the slats will provide a strong visual element in the garden. 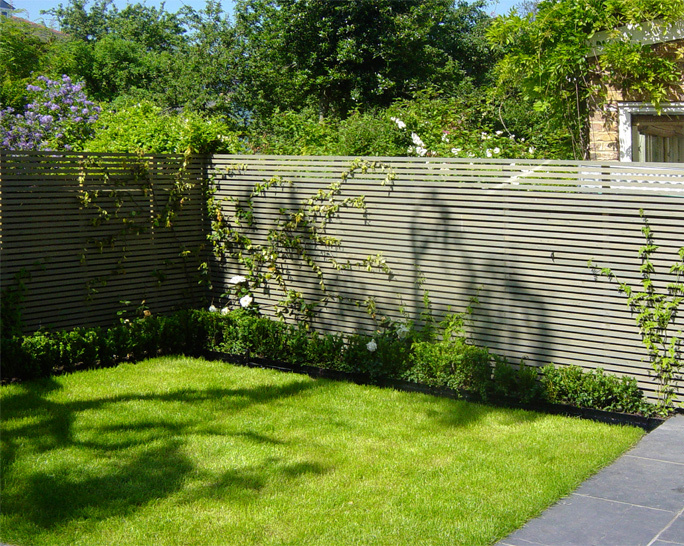 Vertical slats tend to emphasize the height of a boundary or feature, whereas horizontal slats tend to exaggerate the length of the garden.